The Tuareg rebels on April 6 declared their independence from Mali and announced the formation of the state of Azawad. That action was condemned or ignored by the international community. In a thoughtful article, William Moseley, a professor of geography and African studies at Macalester College, puts Azawad in the context of the larger issue of Africa’s colonial borders. He recalls the arbitrary nature of Africa’s borders, most of which were inherited from the colonial period, especially from the 1884-85 Berlin conference. He also recalls the relationship between the Tuareg people and the Mali government, which he characterizes as "uneasy." But, he notes, Azawad was created by force, and that it remains unclear whether it has the widespread support of the inhabitants living within its territory. Then there is the question of what the boundaries of the new state might be. And this political drama is being played out against the backdrop of anticipated famine. Moseley urges dialogue among the Mali government, the National Movement for the Liberation of Azawad (MNLA - the ’government’ of Azawad), and the international community. He suggests that many in the south of Mali may not see the north as worth a war. Should Azawad continue to insist on independence, he suggests that it be countered with force only if the MNLA refuses to follow a democratic process in building the new state. Moseley is right in urging dialogue. But, for now, the Tuareg rebels seem to have most of the cards. They are well-armed and they defeated the earlier efforts of Mali’s government to defeat them, thereby leading to a military coup in Bamako. 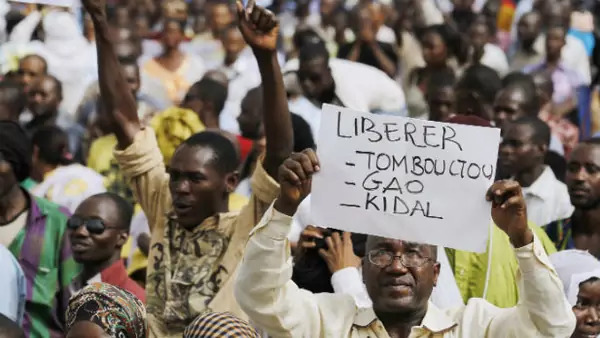 The restored, constitutional government of Mali is still finding its feet and faces elections. It is hard to imagine a regional force could defeat the Tuaregs in an extraordinarily difficult fighting environment that bridges the Sahel and the Sahara. If it can hold the support or acquiescence of most of the population in the Azawad territory, MNLA is likely to be able to stay in power despite the opposition of the African Union or the Economic Community of West African States. But, the elephant in the living room may be the Sahelian drought. UN agencies and humanitarian organizations are continuing to try to energize the international community to respond to what could be a major tragedy. With respect to Azawad, famine could cut many ways. The MNLA might be unable to feed its people, eroding support for Azawad. On the other hand, the ECOWAS states are likely to be distracted from concerted action on Azawad as they attempt to organize famine relief for their own people.